For better or worse, I am a thriftaholic. I just can’t help myself. There is something so thrilling about sorting through veritable junk to discover something surprising or unique. Or just incredibly CHEAP. Most of my friends scratch their heads at my shopping habits. But some are curious when they see the irresistible deals I haul home. I try to share the love with my friends, so they often ask me to search for particular items. When I stumble across something specifically on my “in search of” list, I feel like I’ve won the Gold Medal in bargain hunting! (Too bad shopping doesn’t actually tone the body; if it did, I’d be super buff). Frequent, quick visits are usually most productive. Occasionally, I will spend an hour sorting through clothes, but in general, my stops are usually 10-15 minutes, tops, when I am out running other errands. I move quickly through the perimeter of the store, hitting the hot spots of interest to me: housewares, toys, shoes, kids’ clothes. I don’t even look at books and adult clothing unless I have time to sort, sift and try on. Consider locations. Thrift stores operate on donations. Therefore, some of the best items can be found close to wealthier areas of town, even if the location itself may not be considered prime retail space. Though the storefront may not look appealing, the contents could be fantastic, so keep an open mind. 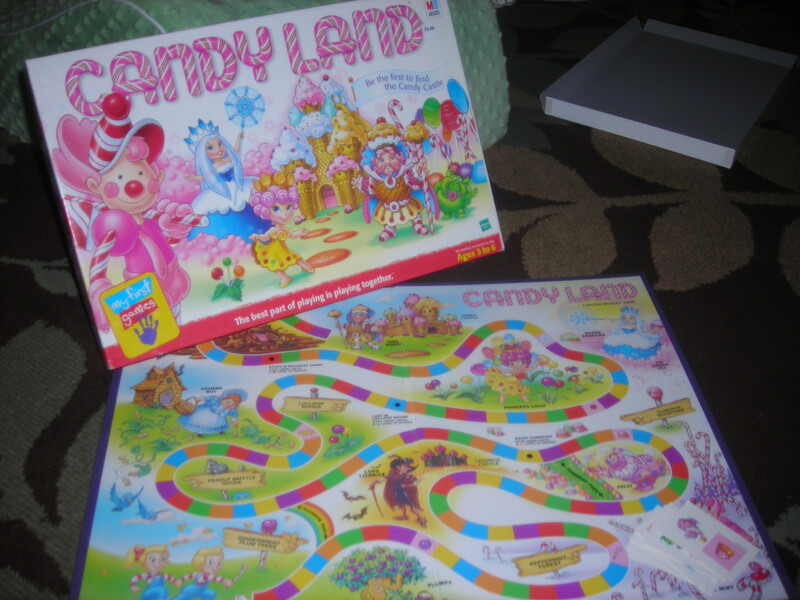 While traveling, I once found some high-end children’s shoes and boutique toys at a hole-in-the-wall location. That’s part of the fun! Know your brands and keep a list. If you know what brands are worthwhile, you will save yourself some time. This is especially true of kids’ clothing. I have expensive taste, with a modest budget, but that’s ok. I have learned to quickly scan through a rack and can typically spot the quality items from cut, texture and sometimes pattern. Be patient. With my quick stops, I often leave empty handed. But when I do find something awesome, it makes all the other trips worthwhile. 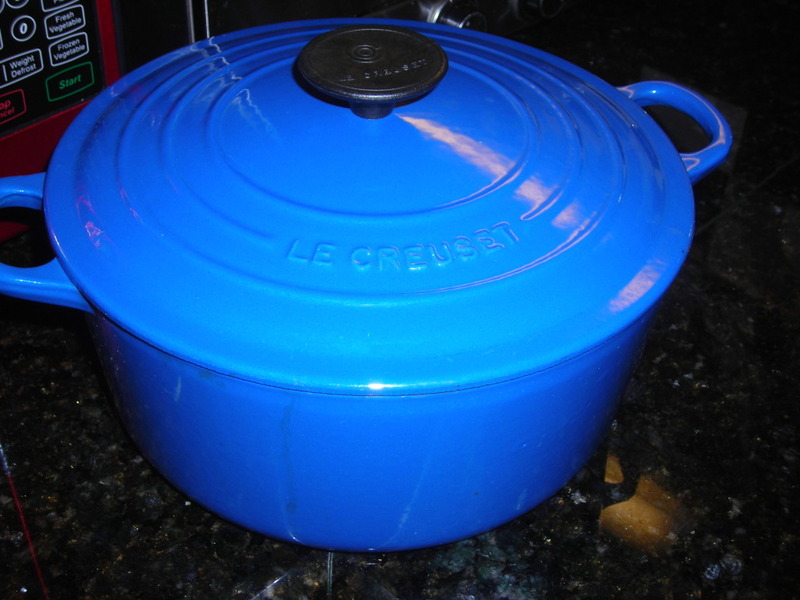 Like the time I stumbled across a gorgeous blue Le Creuset Dutch Oven, in pristine shape for $8. I thought I had died and gone to bargain heaven. Even though my next dozen trips to the housewares section might be fruitless, that bargain goes down as one of my best finds to date. So don’t be discouraged, be persistent! Even if this trip is a bust, next time you might have your $8 Le Creuset moment. Now, I admit it, I’m tempted to keep some of my tips to myself, but, out of the goodness of my heart, I’m about to share with you my very favorite thrifting spot in the area: Palmetto Thrift on Fernandina Road. I love this store because it’s clean, organized and reasonably priced. The staff is incredibly helpful and friendly, and best of all, they support a wonderful local cause: Children’s Chance, a charity that helps children right here in our area who are suffering from cancer. Even if you aren’t a thrifter, please consider donating to this fantastic organization. They even offer free pickup and, of course, donations are tax deductible! Convinced yet? 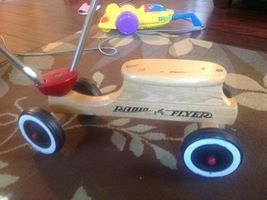 Need some examples of bargain finds from local thrift stores? Here’s a sampling of my favorite steals: TOMs shoes ($4 each), kids Crocs ($1.50), Le Creuset dutch oven ($8), Hanna Andersson kids clothing (90% or more off retail), vintage housewares, Emu boots, homeschool curriculum, Twinkle Toes, retired American Girl dolls and other items (less than $10 each), vintage My Little Pony toys for pennies, Bunn Coffee Maker, stainless steel kids’ cups for a fraction of retail, Learning Tower (one of my favorite kid items ever), Rody pony, large plastic kids’ toys for a buck or two, wooden Thomas train items, and a surprising amount of matching clothing for my twin girls! Most of my clothing is thrifted as well (brands I couldn’t typically afford like Ann Taylor, Garnet Hill, White House Black Market, NYDJ, Lucky Jeans). And books, oh the books! 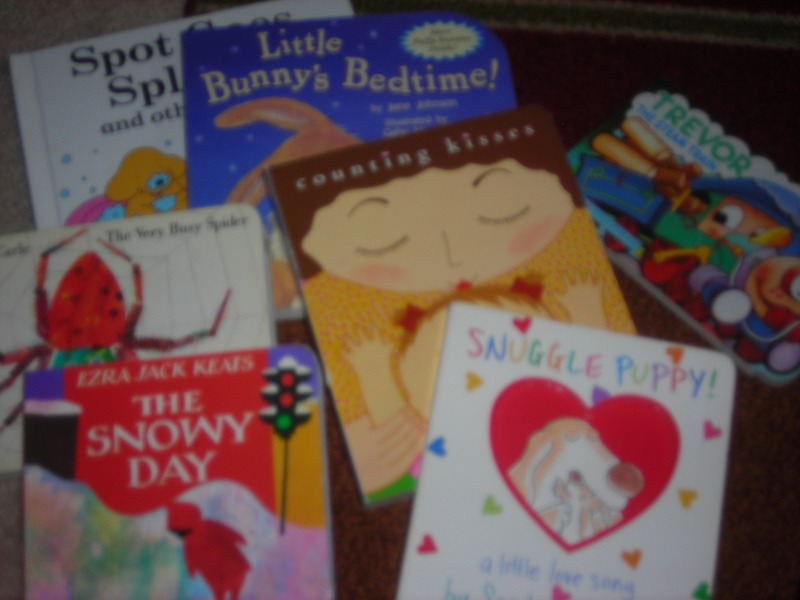 The abundance and variety of childrens books for pennies will amaze you. So if you run into a mom with twin curly headed girls and a precocious toddler at Palmetto Thrift, be sure to say hello. Just don’t take my vintage Corelle dishes. I will fight you for them. This entry was posted in Activities, Advice, Columbia, Famously Hot, Fashion, Leah Prescott, Midlands, Shopping and tagged Columbia, columbia sc, every woman blog, Famously Hot, Fashion, hospital blog, Leah Prescott, Lexington, lexington medical center., lexington sc, Lexington Women, lmc, LMC every woman blogger, Midlands, Midlands Women, Palmetto Thrift, South Carolina, South Carolina Women, Thrifting, Women, women's blog, women's hospital blog by Kate Gillmer. Bookmark the permalink. presentation but I find this topic to be actually something which I think I would nver understand. I am looking forward for your next post, I’ll try to get tthe hang of it! Thank you so much for the tips! I usually just look at clothes, I don’t know why I didn’t think to look at other things. Now I will!